Do you miss the sports from your youth? We believe you’re never too old to have fun, and so at American Family Fitness we offer adult sport leagues. Join now to find your inner child! 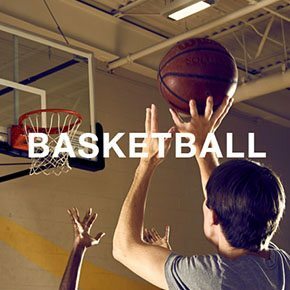 Basketball is an action-filled sport just brimming with exercise. Whether you challenge yourself to a better free-throw percentage or you enjoy a pick-up game with friends, American Family Fitness offers a basketball court for individual and league play. Maintain your health and fitness by playing a game you’re passionate about with a large group of friends who love it just as much. Come play today! With the adult basketball league at our gym in Mechanicsville, the fun from your youth doesn’t have to end. Have a blast and hang with friends while keeping healthy and staying fit. Visit the Basketball League page to sign up today! Are you ready to swing your way to improved fitness? 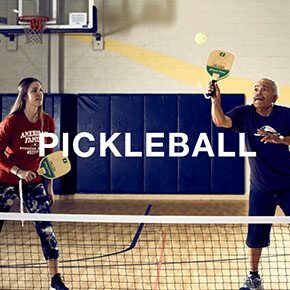 Reignite your love for the game with the state-of-the-art pickleball courts at the best gym in Mechanicsville. With constant action and non-stop fun you will quickly become a more active you. Sign-up is required to reserve the basketball and pickleball courts at American Family Fitness, which may be unavailable during league play. Basketballs and pickleballs are available at the Welcome Desk.